CAREWARE-ERP: Simplify Your Operations with Sage 300 Food & Chemical Manufacturing System. 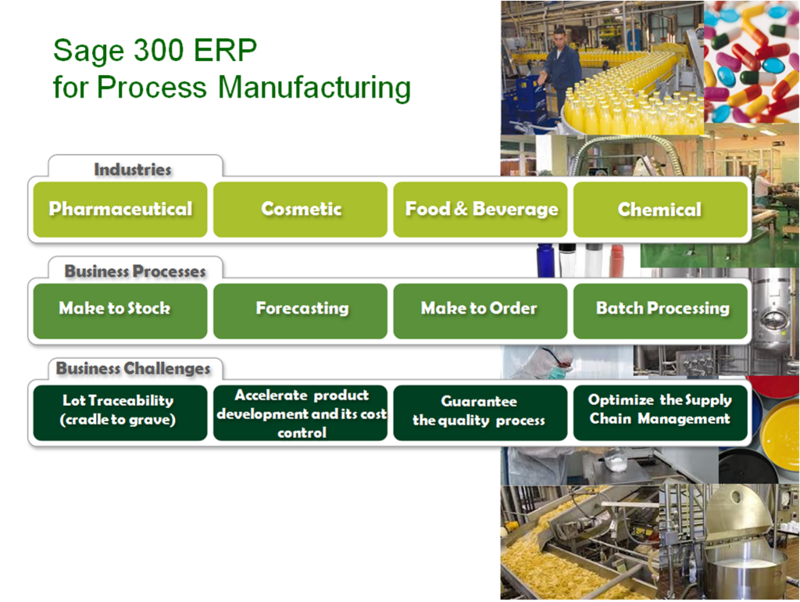 Simplify Your Operations with Sage 300 Food & Chemical Manufacturing System. When you're in the food or chemical industry, your business is defined by strict compliance standards, low profit margins, intense competition, and high customer-service expectations. How effectively you meet these challenges can determine whether or not your company is successful. · Improved integration and consolidation of your business process to reduce redundancy, maintenance needs and cost. Careware has many successfully implemented Sage 300 for Chemical and Food industry with fully-integrated solution that is easy to use, and inexpensive to operate. Give us a call you will be pleasantly surprise with the cost effective solution.